All products are manufactured in Japan. This is our commitment to customers through providing high-quality, affordable products. Unisis is a leading company in the production and sale of disposable medical needles. We specialize in biopsy, angiographic, and anesthesia needles, among others. 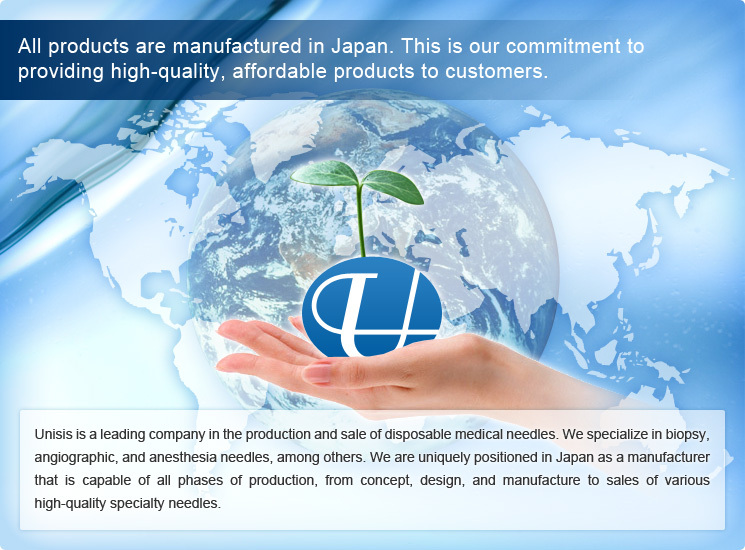 We are uniquely positioned in Japan as a manufacturer that is capable of all phases of production, from concept, design, and manufacture to sales of various high-quality specialty needles.